BATTLE CREEK, Mich. — Snap. Crackle. Flop. Cereal City USA, an attraction devoted to the breakfast food that made this city famous, closed for good today after years of soggy attendance figures. "We make this decision with great sadness," said Cheryl Beard, chairwoman of the Heritage Center Foundation, the organization that operated the 9-year-old facility. 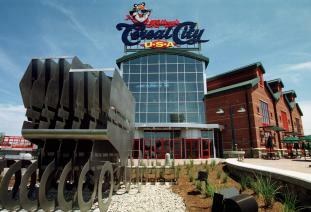 Cereal City started in 1998, filling a gap left when Battle Creek-based Kellogg Co. ended its 80-year tradition of giving public tours of its production plant. It featured a mock cereal factory, a cereal museum and interactive exhibits. Kellogg provided some early philanthropic support and allowed the foundation to use some of its licensed characters, including Tony the Tiger, but attendance fell off sharply after the attraction's first year, when it drew 162,000. The foundation projected that last year's attendance was 79,500, an all-time low. Kellogg spokesman Tim Knowlton said the foundation made "a difficult but necessary decision." Wedding jokes aren't always funny. When a bride in Austria jokingly answered "no" instead of "yes" when asked if she wanted to marry her husband-to-be, the official performing the civil wedding promptly broke off the ceremony. 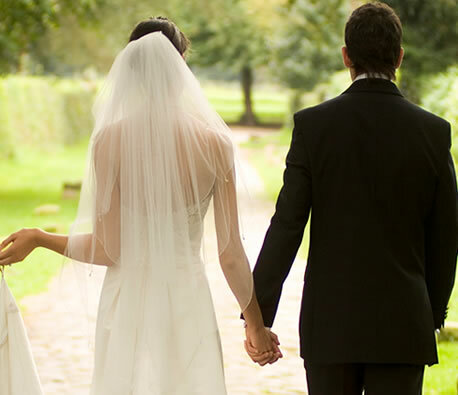 Not even the bride's sobs could reverse the decision and the couple had to wait two and a half months before they could give it another — successful — try, the Austrian newspaper Oberoesterreichischen Nachrichten reported Friday. Officials at the registry office in the city of Steyr where the mishap occurred declined to comment directly but noted the incident was highly unusual, according to the newspaper. One of the newest arrivals at Kirk Heldreth's dairy farm is drawing crowds. 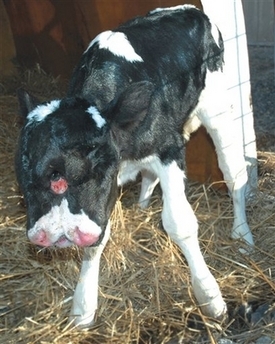 A calf with two faces was born Dec. 27 at Heldreth Dairy Farm, and word has spread in southwest Virginia as residents flock to his farm. The animal is normal from its tail until its unusually large head. The calf breathes out of two noses and has two tongues, which move independently, according to Heldreth. There appears to be a single socket containing two eyes where the heads split. "It's the craziest thing I've ever seen," the dairyman said. During the calf's birth, Heldreth said he first thought there were two calves. The calf has two lower jaws, but only one mouth. Heldreth feeds her through a tube, and acknowledges he probably can't maintain that feeding schedule for long. The calf was the product of artificial insemination, which was supposed to create a genetically superior specimen. "Genetically, this is one of my better calves," he said. Bob James, a professor in the dairy science department at Virginia Tech and Heldreth's former teacher, said such births are unusual. "In my 25 years, I've seen it maybe two or three times, but it's pretty rare," he said. James said the abnormality could be caused by a developmental problem or a genetic quirk. According to MedicineNet.com, the condition is called diprosopus. It happens when twins start to form and don't completely separate. In most cases, the twins are completely fused with one set of limbs, but part or all the face is duplicated. Heldreth said the calf doesn't appear to have any other physical ailments or complications. "It's as healthy as can be," he said. Heldreth expects many more people will be curious enough to stop by. "I'll just have to tie the dogs extra tight," he said.